and still do serve them. We are called to not grow weary in doing good, but to keep on running the unique race marked out for each one of us. Sometimes that is easier said than done though. I am sure at one time or another we have all been tired and even discouraged in the race that we have been called to run. Today's encouragement is simply... don't give up! God sees your heart and is touched by the way you have shown your love to Him by loving and serving others. My prayer today is that each one of us will feel our Papa's smile from heaven over our lives, and that His affirmation would energize and encourage us to keep fixing our eyes on Jesus, the author and perfecter of our faith so that we will not grow weary. 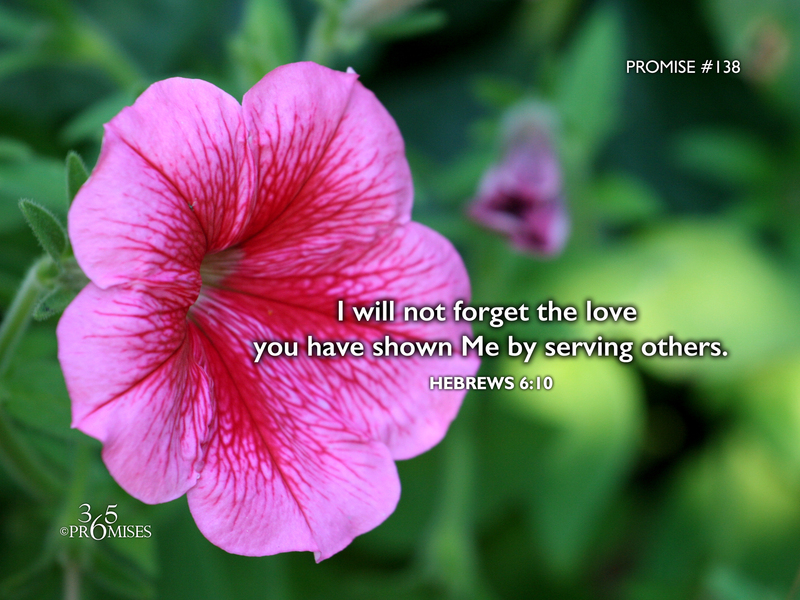 (Hebrews 12:1-2) God loves you and does not forget the things that you have done to show your love to Him! Even if others forget what you've done, your Heavenly Father will never forget!